Stackpole Books. Hardcover. GOOD. Spine creases, wear to binding and pages from reading. May contain limited notes, underlining or highlighting that does affect the text. Possible ex library copy, thatâll have the markings and stickers associated from the library. Accessories such as CD, codes, toys, may not be included. Stackpole Books, 1992. Hardcover. Very Good. Disclaimer:A copy that has been read, but remains in excellent condition. Pages are intact and are not marred by notes or highlighting, but may contain a neat previous owner name. The spine remains undamaged. At ThriftBooks, our motto is: Read More, Spend Less.Dust jacket quality is not guaranteed. Stackpole Books. Hardcover. 0811701166 Ships promptly from Texas. . Fair. 1992. Stackpole Books, 1992. Hardcover. As New. Disclaimer:An apparently unread copy in perfect condition. Dust cover is intact; pages are clean and are not marred by notes or folds of any kind. At ThriftBooks, our motto is: Read More, Spend Less.Dust jacket quality is not guaranteed. Stackpole Books. Hardcover. 0811701166 Good Condition. Has foxing. A few pages have staining. Five star seller - Buy with confidence! . Good. Stackpole Books. Used - Good. Shows some signs of wear, and may have some markings on the inside. Stackpole Books. Used - Very Good. Former Library book. Great condition for a used book! Minimal wear. Stackpole Books. Used - Very Good. Ships from Reno, NV. Great condition for a used book! Minimal wear. 100% Money Back Guarantee. Shipped to over one million happy customers. Your purchase benefits world literacy! Stackpole Books. Used - Very Good. Very Good condition. Stackpole Books. Used - Good. Good condition. Good dust jacket. Stackpole Books, 1992-07-01. Hardcover. Used: Good. Mechanicsburg, PA: Stackpole Books. Hardcover. 0811701166 No marks or damage from past owners, not a former library book, not a remainder or book club, not clipped, Hardcover. 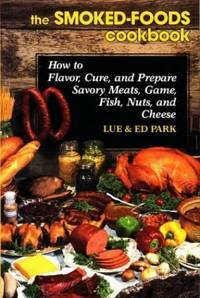 Easy, modern methods of preparing smoked foods, with 147 tasty recipes. 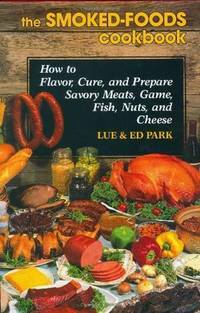 Includes low-fat and low-salt alternatives for healthful eating. 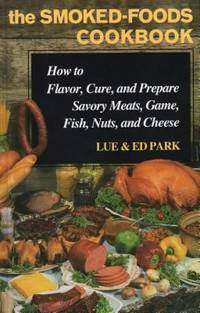 To Flavor, Cure, And Prepare Savory Meats, Game, Fish, Nuts, And Cheese - how to flavor, cure, and prepare savory meats, game, fish, nuts, and cheese. All books shipped within 24 hours with U.S. Postal Service Delivery Confirmation, each order is packaged in a new box with bubble wrap, and always your satisfaction is guaranteed. . Very Good. 1992. 1st Edition. Stackpole Books. Used - Good. Ships from the UK. Former Library book. Shows some signs of wear, and may have some markings on the inside. 100% Money Back Guarantee. Your purchase also supports literacy charities. stackpole, 2000 hardback book and dust jacket in fine condition. 1st Edition. Hardcover. Fine/Fine. Mechanicsburg:: Stackpole Books,. Fine in Fine dust jacket. 1992. Hardcover. 0811701166 . Sixth printing. Fine in a fine dust jacket. .